Graham’s Chase Adams (pictured) will help anchor a Falcons’ squad that returns nine letterwinners from a team that was on the cusp of success in 2018. It’s prep baseball time in Champaign County. And as hard as that might be to believe, balls will be flying off of bats starting this week. And while both the Central Buckeye Conference and the Ohio Heritage Conference are loaded with great baseball talent, most local coaches seem to expect success from their squads. Urbana turns the reins over to first-year man Evan Petty, who is replacing coaching stalwart Kevin Bowdle after more than two decades. “I’m still new on the scene. And it’s a very young team this year. Rebuilding for sure,” Petty said. No doubt about that since Urbana lost eight seniors from last year’s squad. However, the Hillclimbers return Gabe Spiers, Austin Rooney and Logan Johnson to the mix. Riley Wilson, Nick Wirick, Daniel McKenzie and Grant Hower will join the fray. It should be an interesting season of growth for the ’Climbers. At Graham, the Falcons have a group of talented returners back from a squad that went 9-11 last year, but only had a minus-seven run differential. Josh Lewis, Andy Milligan, Chase Adams, Eli Palmer, Logan Thompson, Brady Anderson, Caleb Horner, Logan Anthony and Lane Smith all come back after lettering last season. At West Liberty-Salem, the Tigers seem to be benefiting from an offseason ACME program that gets guys playing more baseball. Returners Jacob VanHorn, Trevor Woodruff, Zack Glock, Nick Burden and Ethan Larsen will be the driving force behind the team, with newcomers Will Motzko, Logan Saylor, Xavier Hamilton, Patrick Harr and Kenny Harr joining the fray. The Tigers are looking to be competitive in each and every game they play, but that’ll be difficult in a very tough OHC North division. “(The Ohio Heritage Conference is) stacked and if you look at the North, there’s no real weak teams. The North’s loaded with baseball talent and it’s very competitive,” Payer said. Triad will rely on seniors Isaiah Bruce, Dylan Warner, Cade Manley Austin Bails to lead the way, with juniors Logan McCoy and Jordan Simonelli following suit. Sophomore Batai Lease is also back after a promising freshman year. Some of those newcomers will include Blake Boldman, Coleman Hauck, J.C. Alexander and Ryan Gross. “Our focus so far has just been hard work. If they come in and put in the effort, good things can happen. But with youth, there can be some growing pains,” Davis said. Still, the Cardinals want to be near the top of the OHC North, which Davis also touted. 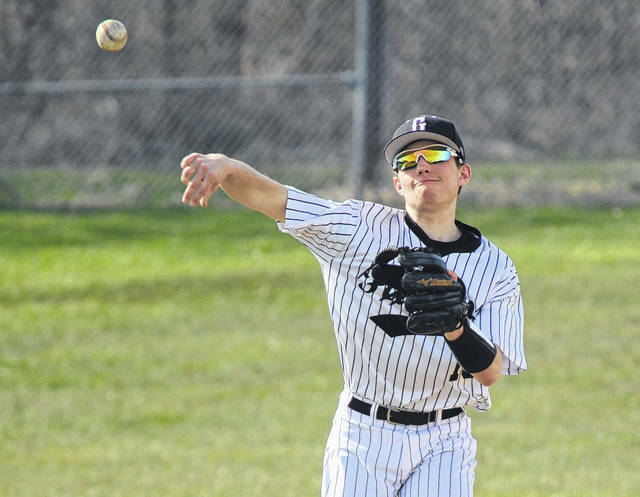 Mechanicsburg will feature a very fresh team, with juniors Logan Hurst and Mack DeLong providing the leadership, while sophomore Brooks Tom looks to follow up on a great freshman season at shortstop. Newcomers Jake Edwards and Aaron Conley should make an impact right away. The Indians might be near the bottom of the pack this season, but it would surprise nobody if they were competitive. And in another year or two, who knows? https://www.urbanacitizen.com/wp-content/uploads/sites/36/2019/03/web1_ChaseAdams0412182018412184111642.jpgGraham’s Chase Adams (pictured) will help anchor a Falcons’ squad that returns nine letterwinners from a team that was on the cusp of success in 2018.